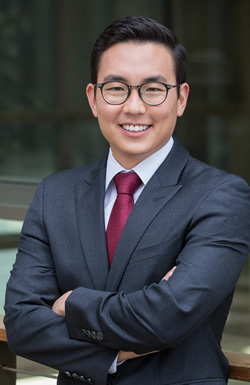 Henry Chu’s practice focuses on commercial real estate, including purchase and sales, leasing, easements and CC&Rs. Henry received his J.D. in 2013 from the University of California, Hastings College of the Law, where he was the Senior Development editor of the Hastings Law Journal. In 2008, he received his B.A., with honors, in Political Science from the University of California, Davis. Prior to joining Murphy Austin, he worked as an associate at a Roseville law firm that represents large developers and general contractors in California.